The write-up on the reverse of the card will be 'I set my alarm for 4:30 am on the promise of fantastic weather the next day. 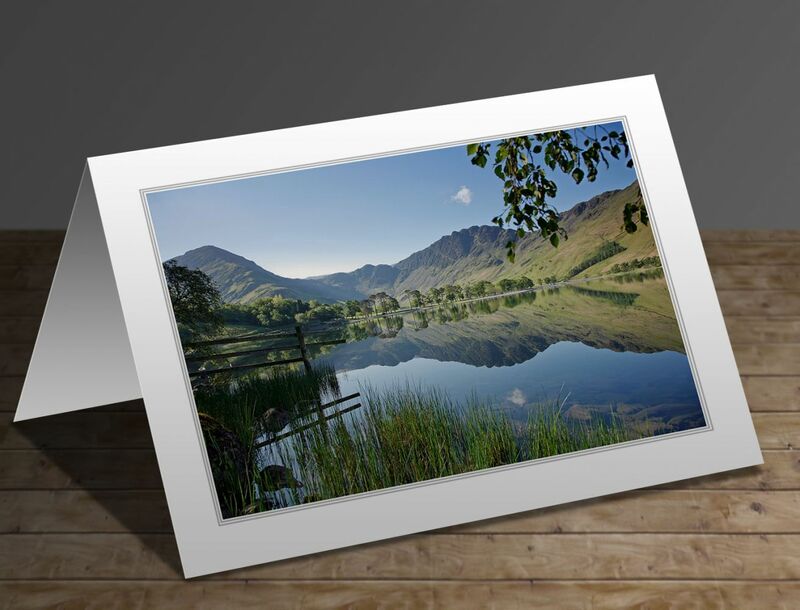 I arrived at Buttermere just as dawn was breaking and, in the many years that I’ve been photographing this area, have never seen such perfect reflections. There was not a single breath of wind and the surrounding fells of Fleetwith Pike, Haystacks and the High Stile Range were mirrored in the lake'.